Coordinate team schedules on your desktop and mobile device. 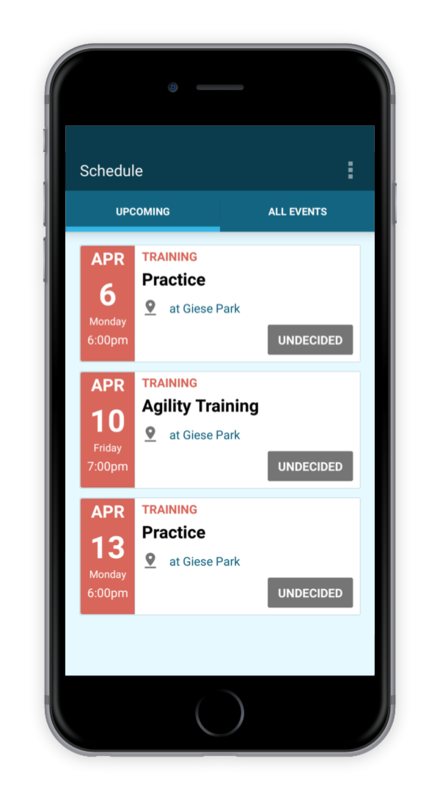 Create single or repeating events such as games, practices or meetings, and send notifications to your members. View all the events on a single calendar, and get a full picture of what is coming ahead. Play, coach or manage multiple teams? Using our unique feature, view all your team schedules on the same calendar, or switch from a team schedule to another with a click of a button. On your way to a game and need directions?Tap on the event's field location, and open a map on your mobile device with directions. Parents/players don't need to email the coach about field address anymore. Unique features for coaches: choose which members will attend each event. Only those members will be able to set their availability and receive notifications about the event creating less confusion among players/parents. Switching between schedules is a hassle. 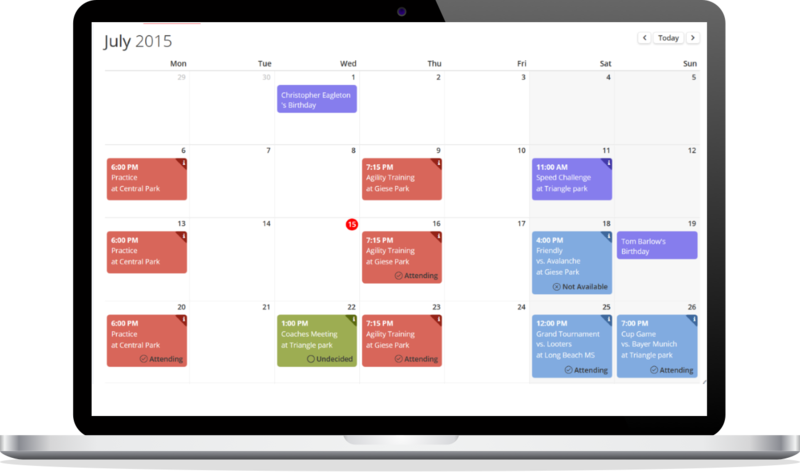 Synchronize calendars with Gmail or Outlook, and view all your team(s) schedules on a single calendar in your browser or mobile device. Create events that repeat daily or weekly once and manage as an event series. Are you adding repeating events that follow a custom pattern (different dates each week)? With our unique feature, add multiple events by choosing custom dates from a calendar. Add your team for free today!